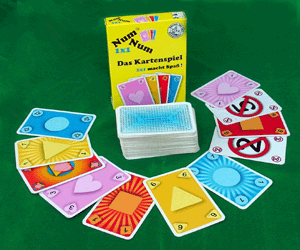 This is the page where you can place your international order of the NumNum Card Game. It's professionally printed and comes in a box with 110 cards. All the buttons below direct you to PayPal via a secure connection. Please allow about two weeks for delivery. Please allow several weeks for surface delivery and two weeks for air delivery.